Home » AUD » Pound Sterling to Australian Dollar Exchange Rate Forecast: Are GBP/AUD Gains ahead on UK Wage Growth Data? Pound Sterling to Australian Dollar Exchange Rate Forecast: Are GBP/AUD Gains ahead on UK Wage Growth Data? in AUD, GBP, GBP to AUD. The Pound (GBP) has remained in high demand against the Australian Dollar (AUD) today, rising by 0.5% in the pairing. Earlier UK GDP data showed a forecast-matching rise for Q2 estimates, which has provided support for Pound Sterling today. The Pound (GBP) has risen by 0.5% against the Australian Dollar (AUD) today, hitting an exchange rate of AU$1.7482. This has come from estimates for a faster pace of UK GDP growth in Q2 2018. Looking ahead, there is a chance for greater GBP/AUD gains on the coming Tuesday, when June’s UK wage growth and unemployment rate data comes out. Current forecasts are for the unemployment rate and wage growth figures to rise; the latter result could push the GBP/AUD exchange rate higher. A faster pace of UK wage growth would suggest that the UK economy is becoming more resilient. 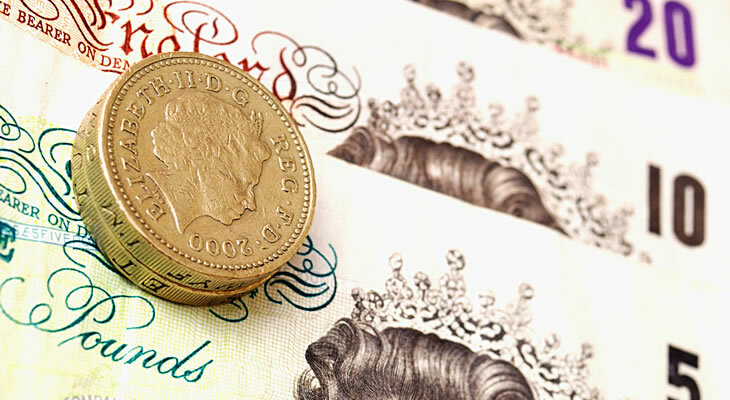 While recent remarks from Bank of England (BoE) officials suggest no near-term interest rate hikes, higher wages would still improve the odds of another rate increase. A rising unemployment rate would be disappointing to GBP traders, but any negativity could be erased by the more positive implications of higher wage growth. Future GBP/AUD Exchange Rate Forecast: Can Pound Sterling Rise Further on Higher UK Inflation? Another factor that could push the Pound to Australian Dollar (GBP/AUD) exchange rate up next week will be Wednesday’s inflation rate figures. Out during the morning, these ecostats are expected to show a faster pace of price growth on the month and the year in July. Coupled with potentially faster wage growth on Tuesday, news of higher inflation could push the GBP/AUD exchange rate up. Higher inflation and a faster pace of wage growth are both contributing factors to the Bank of England (BoE) considering raising interest rates. Could Australian Dollar to Pound (AUD/GBP) Exchange Rate Gains come on AU Confidence Stats? On the other side of the currency pairing, the Australian Dollar (AUD) has a chance to advance against the Pound (GBP) in the coming week. The first notable Australian data will be Tuesday morning’s NAB business confidence reading for July, which is expected to show higher sentiment levels. While not indicative of nationwide business confidence, NAB’s reading is considered high-impact news as it covers a range of Australian companies. If rising confidence levels are reported on Tuesday, this would be a double dose of good news for Australian Dollar traders. For one thing, any rise in sentiment levels is a positive development. For another, growth in July would break a three-month streak of falling confidence. Will Falling Australian Consumer Confidence Score Cause AUD/GBP Exchange Rate Losses? While the coming Tuesday will bring a chance for Australian Dollar to Pound (AUD/GBP) exchange rate gains, beyond this there is a risk of a decline in the pairing. Westpac’s consumer confidence index for August is due out on Wednesday morning and might devalue the Australian Dollar if it shows a forecast-matching decline. An as-expected shift from 106.1 points to 103 would indicate that optimistic respondents are in the majority, but could still unsettle AUD traders. Any reading below 100 points indicates more pessimists than optimists; the last sub-100 point reading came back in November 2017.